Perry Performance & Competition is please to offer on the behalf of AISA Race Academy, a certificate of $1000 to the Rookie of the Year in 2016 as determined by the officials of the Micra Cup. 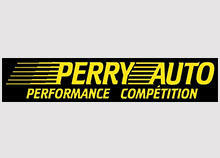 Perry Performance , in collaboration with AISA Academy are dedicated to the promotion and development of new drivers in our sport and hopes that this incentive will help in their pursuit of driving excellence. In addition, AISA Academy will double the amount if the rookie is a graduate of our AISA Academy in 2016- bringing the total prize to $2000. This program should reinforce the concept that Micra Cup race series is as much a PRO series as it is entry level for new drivers.